These words from members of the Fellowship speak to the acceptance, stimulation and community we find here. Please explore our website and feel free to contact us with your questions. We look forward to meeting you and helping you find what you need. My partner and I first encountered this Fellowship as speakers who came to talk about the social service work we each did in the local community. We recognized faces in the congregation of people active in common concerns. So when we reached a point where finding a supportive community became more important than sleeping in on Sunday, we decided to come back as participants. Timing was great. The congregation was starting the UU Welcoming Congregation process for LGBT people and we experienced authentic acceptance as a couple, and still do. We each found the exploration of different spiritual traditions and practices inspiring in a liberating way – no doctrine, but lots of finding what’s true and applicable in life. We decided it worth putting our talents to work on committees and boards and were pleased to find friendships in the midst of worthwhile work that brings palpable results. Through all the uncertainties life brings I have found this a good place to keep finding common ground, kindness, spirited dialogue, and people who care for each other and the wider world. For all this, I am truly grateful. 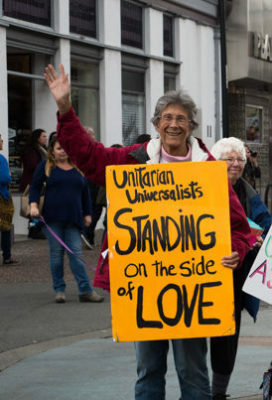 My family and I initially visited the Fellowship with only a vague understanding of Unitarian Universalism but a distinct understanding of our need for community, especially as newbies to Humboldt. It quickly became apparent to us that on many levels of personal and family life, this nurturing community was exactly what we were searching for. The Religious Education program has proven especially delightful and fitting for our family. 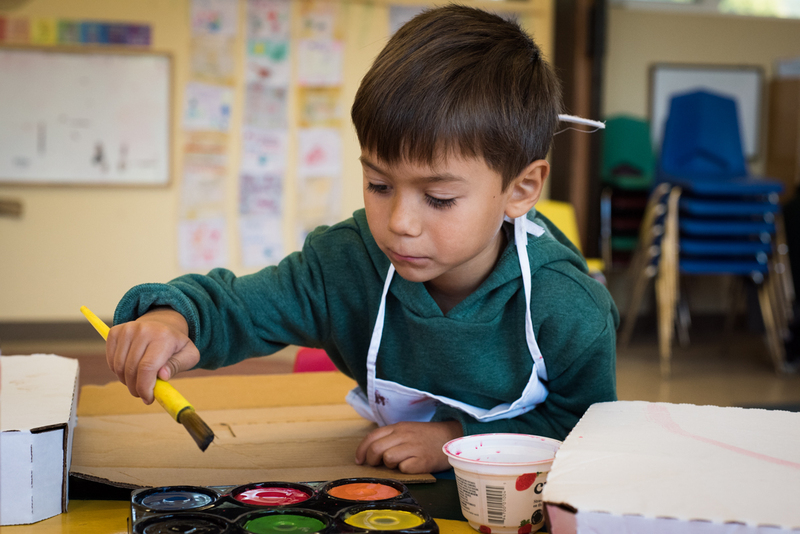 A curriculum geared towards exploration, openness, and compassion is a welcome addition to what we’re able to achieve through the traditional means of parenting and schooling. 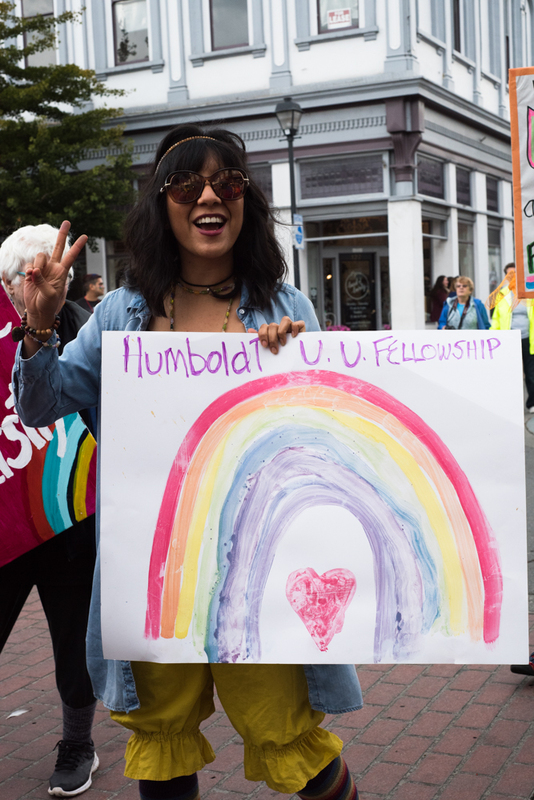 I came to Humboldt from the mountains of Colorado, and could hardly have picked a less familiar environment in which to resettle. From a mile high in the Rockies to sea level on the shores of Arcata Bay, frigid and snowy to rainy and windy winters, shimmering groves of delicate aspen trees to deep forests of towering redwoods…my bearings were pretty well scattered! One of my first experiences of the Humboldt UU Fellowship was to participate in a ritual circle to observe the Summer Solstice, just as I had done so often in my previous UU community and elsewhere, and I immediately knew that I had found a spiritual sanctuary here. As a long time devotee of Nature-centered ritual celebration, I have been more impressed every day with the depth of feeling for the natural world expressed by Humboldt UUs, and the way in which this relationship is reflected in every facet of HUUF community. Here, my bearings have been reassembled and my balance restored, and I couldn’t be more grateful to call this Fellowship my home.